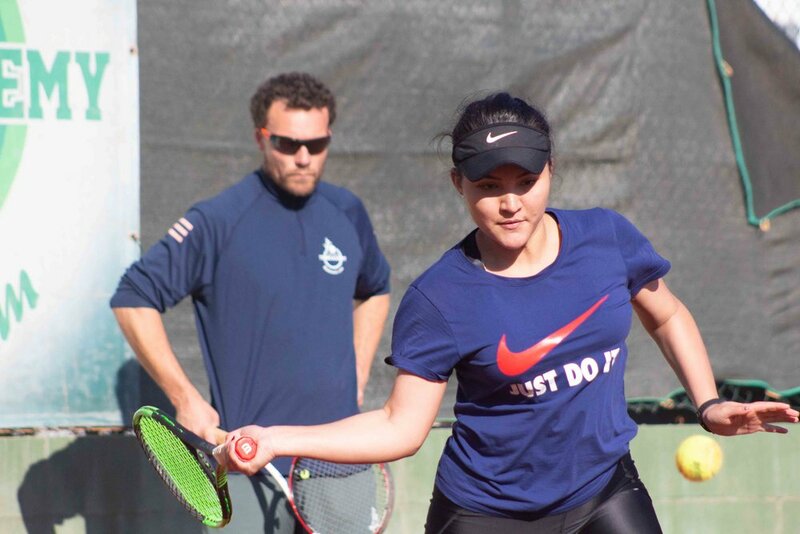 This week our players Saara and Paige have played their first tournament of 2019. It was a hardcourt Federation tournament in the open category and both of them got to the semis. For Paige and Saara it has been a great start to the new year. The weeks preceding the tournament the girls trained very hard, getting into the rhythm of playing after the Christmas break. Paige came back to the academy two weeks ago after taking her GCSE exams since she does online schooling and Saara joined our full-time programme at the start of January. Both of them have been working hard, practising with great intensity, each focusing on areas specific to their own game. Saara has been dedicating lots of time to work on her top spin as well as the kick serve. She has also been working a lot on her footwork. Paige continues to train hard according to her individualised programme of development, focusing on technique, flexibility through her Yoga trainings and the mental side. We keep adding little improvements on a regular basis and it’s great for us to see their effort and drive to get better. Every month we play tournaments, taking advantage of the high level of competition in local Spanish tournaments. Players get to play against opponents from all over the world and gain lots of experience. For example, yesterday Paige lost against a girl ranked 39 in the world in juniors and No.1 in Spain in the 16 & under category, which shows how high the level of tennis is in Barcelona, probably the most competitive place for tennis in the world. Every tournament gives us new lessons about our players’ progress. Looking forward to many more to come!